The ceiling eco-system is recognized as an ideal platform for message presentation. Ceiling Outfitters enables its clients to efficiently access the ceiling and effectively execute communications with customers and employees. If you are a manufacturer implementing the visual workplace, a retailer presenting its marketing message, or an event planner setting up décor, our products help you manage signs and visual displays. We also sell in bulk for any size business or organization (including nationwide retailers). *We will ship in-stock product within 24 hours. 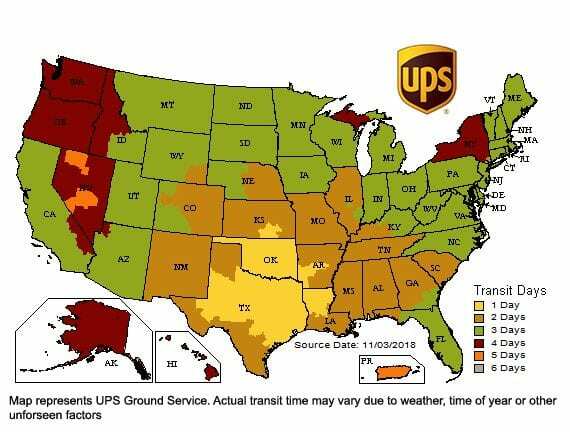 We reserve the right to change the shipping method from UPS Ground to USPS when residential customers choose UPS’s Commercial method instead of the UPS’s Residential method. Please let us know of any questions or concerns you have about this policy. This policy does not affect UPS Next Day, Second Day, or other premium shipping services chosen by our customers. Samples of stock products are available for evaluation before purchase. We will ship the samples at our expense via UPS Ground. If you would like them expedited, please provide your FedEx or UPS account number. It is the responsibility of our customer, their employees, their 3rd party vendor or their installer to choose and test our products in the environment in which they will be used. We will supply a limited number of samples of our products to assist you in the determination. Retailer Solutions Co, LLC dba Ceiling Outfitters makes no warranty express or implied, as to the merchantability of the products offered for sale. We warrant our products against manufacturer’s defects and will, at our option, replace or repair defective product at no charge to the customer. The return of defective products at our expense may be required; don’t dispose of defective items until notified by us. Liability on manufacturer’s defects is limited to the purchase price of the items warranted. Financial claims against Retailer Solutions Co., LLC dba Ceiling Outfitters are limited to a refund or credit for parts purchased but not needed. We are not responsible for incidental damages including but not limited to labor, additional freight, purchase, repair or replacement of other products and fixtures, recall costs, lost profit, yours or a 3rd party’s manufacturing cost and other consequential damages. All of our terms and conditions are subject to change without prior written or verbal notice. Returns must be made within 30 days of the date the order is placed. An RMA number must be issued before returns are authorized. We will not receive or process unauthorized returns. Our customer is responsible for all freight costs for returns. A re-stocking fee may apply to all returns. Custom part orders may not be canceled or returned. Parts with adhesive may not be returned after 30 days from the date of the order.